Time is valuable, so investing it well with those you love is important. Who do you trust when deciding how to spend your time? Recommendations – both in person and online – from people you know and who share your interests help winnow best options from many choices. 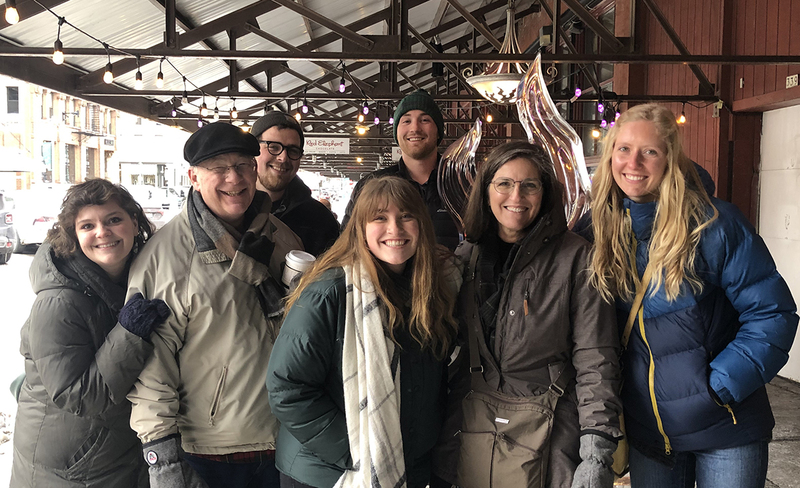 In the wake of family members’ recent college graduations – one from a graduate program at the University of Alberta in Canada – my husband and I are in a new phase: a perhaps brief window of time when our three “kids” and spouses are in Wisconsin. When we can manage to triangulate and coordinate schedules for group gatherings, we seek and seize those opportunities. The time together and how we spend it are key. Activities that have us connecting with one another in fun, engaging ways build priceless memories. Also, when taking any excursions – including Wisconsin day trips – travel and restaurant or grocery tabs are inevitable, for voyagers and hosts alike. 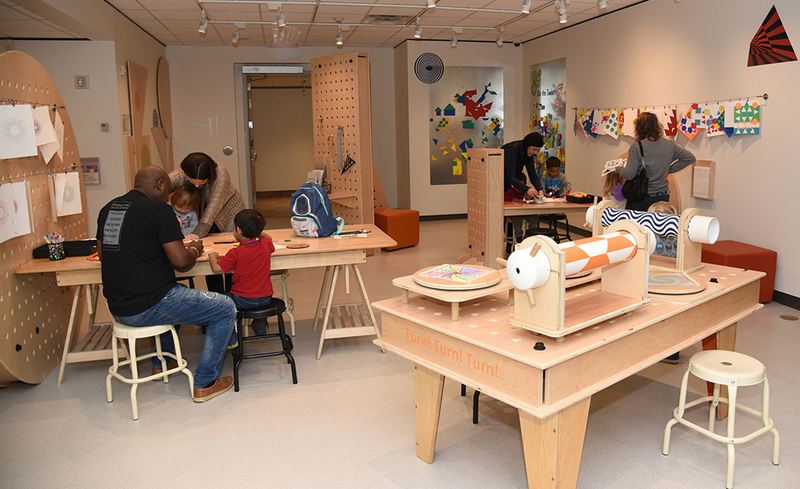 So activities like visiting the Woodson Art Museum – always delightfully engaging and admission free – are doubly attractive. During a recent day trip to Milwaukee to visit our oldest son and his wife, I would’ve loved to pack along a portable Woodson Art Museum visit! Instead, I pulled a cell phone from my pocket and searched TripAdvisor for things to do. Whether traveling to Wausau, hosting others here, or a tourist in your own hometown, TripAdvisor is a go-to source for many. Like those who interact with the Woodson Art Museum’s digital guestbook in the main entrance, people choose to take a few minutes to share their thoughts – offering glimpses of what others can expect. 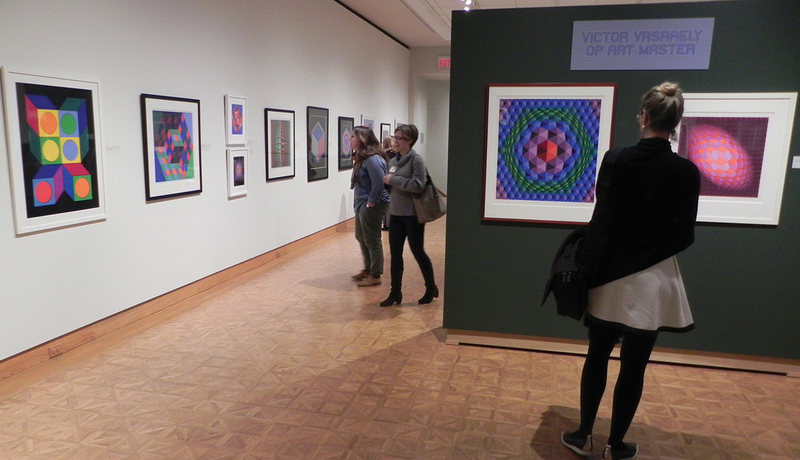 Here are highlights from recent TripAdvisor reviews and other comments, including what visitors are saying about Victor Vasarely: Op Art Master, on view through February 24. I don’t claim to be impartial; I adore the Woodson Art Museum. 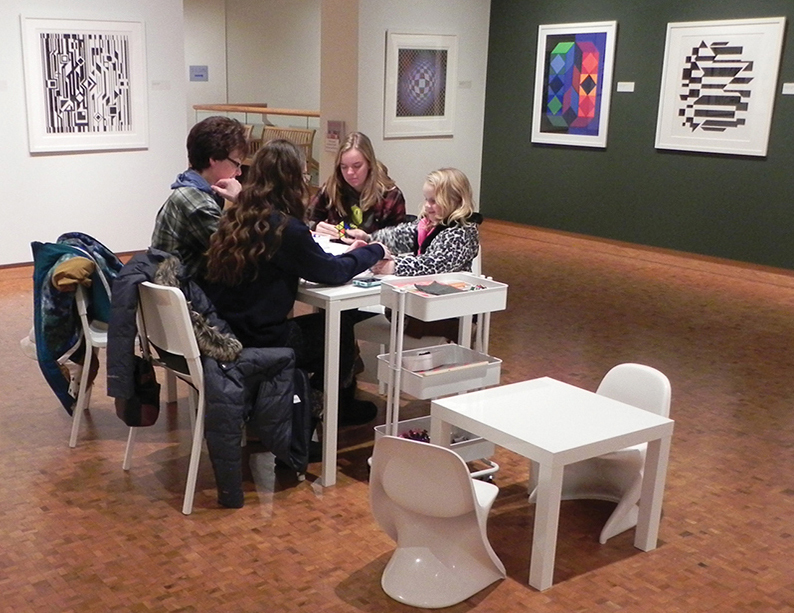 Take it from visitors, and seize the day – only sixteen days remain to experience Victor Vasarely: Op Art Master – to capitalize on opportunities to deepen connections with those you love.